LAKELAND, Fla. – Florida Polytechnic University has been awarded “Candidacy for Accreditation” status by the Southern Association of Colleges and Schools Commission on Colleges (SACSCOC), one of the nation’s leading accrediting bodies. 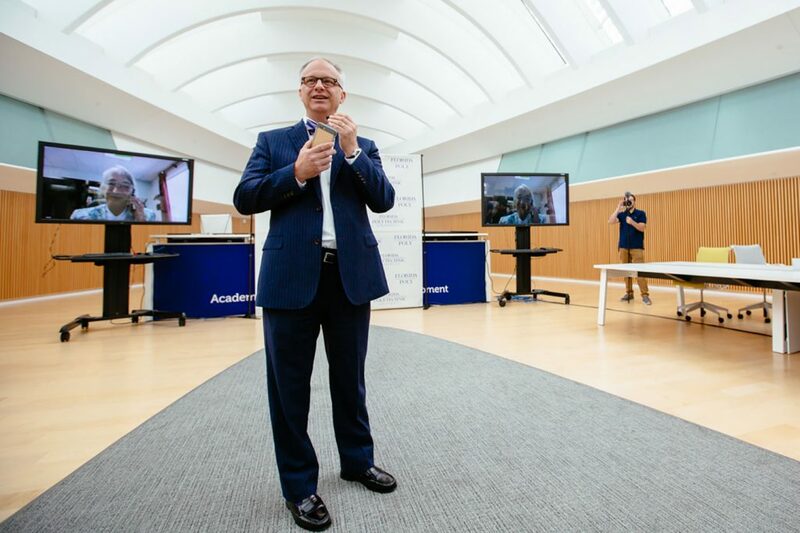 University President Dr. Randy K. Avent shared the news with students, faculty and staff during a gathering at the Innovation, Science and Technology (IST) Building. SACSCOC Vice President, Dr. Mary Kirk addressed the crowd via WebEx from her offices in Atlanta. Demonstrating a process for ensuring continuous improvement and institutional effectiveness. The second step in the accreditation process – and the next step for Florida Poly – is to complete and submit a compliance certification. In this step, the university must submit several documents that demonstrate the school’s compliance with all core requirements, comprehensive standards and federal requirements. In March of this year, a Candidacy Committee from SACSCOC visited Florida Poly and reviewed the university’s initial documentation to evaluate its eligibility for candidacy. Based on their assessment, the committee voted to grant the university candidacy for accreditation to award baccalaureate and master’s degrees. Florida Poly currently offers six bachelor’s degree programs and two master’s degree programs. The university does not currently offer doctorate degree programs. As a candidate for accreditation, Florida Poly is now authorized to complete its compliance certification documentation and to receive a visit from an Accreditation Committee. In line with SACSCOC requirements, Florida Poly will seek an accreditation decision as soon as possible in 2017. SACSCOC is the recognized regional accrediting body in the eleven U.S. Southern states (Alabama, Florida, Georgia, Kentucky, Louisiana, Mississippi, North Carolina, South Carolina, Tennessee, Texas and Virginia) and in Latin America for institutions of higher education that award associate, baccalaureate, master’s or doctoral degrees. The Commission on Colleges’ Board of Trustees is the representative body of the College Delegate Assembly and is charged with carrying out the accreditation process. 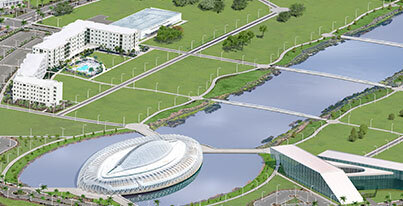 For questions or comments regarding the candidacy or accreditation status of Florida Polytechnic University, please contact the Commission on Colleges at 1866 Southern Lane, Decatur, Georgia 30033-4097 or call 404-679-4501.